Description: Black-and-white barred back; white uppertail coverts; barred central tail feathers; white belly with a small reddish patch or tinge. 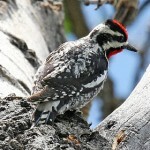 Male has more extensive red on head, having red on both the crown and nape. 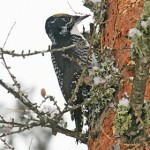 Females only have red on the nape. Habitat: Fairly open forest stands, often in riverbottom forests. 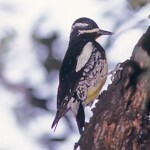 Often seen in orchards, and urban parks and gardens. Status: May be extending its breeding range northward and westward. 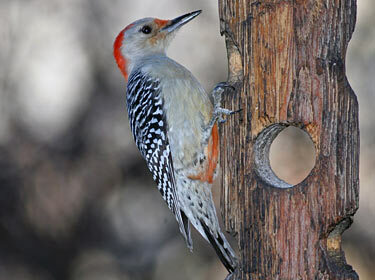 Fun Facts: As many as half of all Red-bellied Woodpecker nests in some areas get invaded by starlings. Excavates its nest in 7-10 days.